Although eating any food can be fattening if you eat a lot of it -- if you eat oranges, you're not likely to gain weight from eating them. 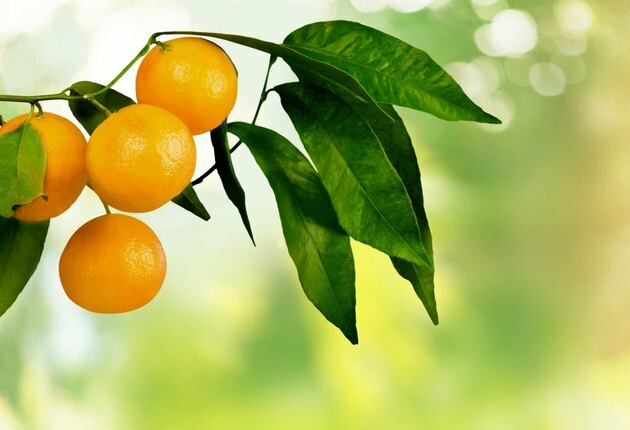 Oranges have very low energy density, meaning that you can eat a large number of oranges without consuming a lot of calories. Because oranges fill you up even though they are low in calories, if you're trying to lose weight -- or not gain weight -- eating oranges is a wise choice. Each medium-sized orange contains about 62 calories. That's just a small portion of the 2,000 calories that the average, moderately active woman burns in a day, and an even smaller portion of the 2,500 calories the average man burns. To gain one pound of fat, you'd need to eat about 3,500 more calories than you burn for energy. That would be eating about 56 medium oranges on top of your normal weight-maintenance diet. Centers for Disease Control and Prevention: Can Eating Fruits and Vegetables Help People Manage their Weight?